Should HPV Testing Replace The Pap Smear? Two cervical cancer cells divide in this image from a scanning electron microscope. Dr. Andrea Singer, an internist at Georgetown University's hospital, discusses the HPV test with her patient, Robin Reath. Robin Reath was getting a routine checkup recently when her doctor brought up something new about cervical cancer screening. "We might be doing something a little bit different than what we've been doing in the past when we've screened you," said Dr. Andrea Singer, an internist at the MedStar Georgetown University Hospital in Washington. For years, doctors have been using the Pap smear to screen for cervical cancer. The Pap involves swabbing some cells from a woman's cervix to examine them for any signs of abnormalities. It's credited with a steep decline in the number of cases of cervical cancer in the United States — and a drop in deaths from the disease. "Now ... the sort of new thinking is ... actually looking at just doing HPV testing — so just looking for the virus," Singer explained to Reath, referring to the human papilloma virus, the primary cause of cervical cancer. Reath, who also works at Georgetown's hospital, told Singer she'd heard something about the new test, but didn't really understand what it meant for her own health. What it means for Reath — and for all women these days — is the subject of an intense debate. The Food and Drug Administration recently approved an HPV test for use as a primary screening tool for cervical cancer. The test's manufacturer, Roche Molecular Diagnostics, argues that the HPV test can catch more women at risk for cervical cancer early. "If we can detect either the risk or early disease much earlier on, then we should have many [fewer] women ultimately getting cervical cancer," says Paul Brown, who heads the company. "And that's, of course, the holy grail." But not everyone's so sure. One concern is that while many women have HPV, only some of them will get cervical cancer. "Like a cold virus, everyone gets it," says Susan Wood, a women's health policy analyst at George Washington University. "It comes and it goes. It's only if the virus happens to stay around for a period of years that it is associated with the precancerous conditions which — if not treated — could go on to become cancer." So, screening everyone for the virus will end up scaring a lot of women for no reason, Wood says. In addition, it could lead to many women going on to get unnecessary follow-up tests, including a procedure known as a colposcopy. That procedure, which uses a magnifying device and a mildly acidic wash to take a close look at highlighted cells of the cervix, is "somewhat expensive, somewhat painful and can result in finding abnormalities that may result in biopsies that can actually cause real harm to the woman," says Diana Zuckerman of the Cancer Prevention and Treatment Fund, a Washington-based advocacy group. Biopsies, for example, can increase a woman's risk for preterm deliveries. In addition, a small minority of cervical cancers are not caused by HPV, Zuckerman says, raising the possibility that HPV screening would miss women at risk for those. "Our greatest fear is that replacing the Pap smear with the HPV test will result in more getting cervical cancer — and dying from cervical cancer — rather than fewer," she says. But Roche and some other experts disagree. They point to a study the company sponsored that involved more than 47,000 women. The results clearly showed the advantages of HPV testing, Brown says. "What we were able to show was that 1 in 10 women who were clear by a normal Pap test had already got pre-cancer," Brown says. "So it just drives home the point that, you know, as good as a normal Pap is, it does miss disease that you can pick up and detect with an HPV test." Amid the debate, many doctors are trying to decide whether to use the test and how. "Although there [have] been a lot of people very aggressive at the extremes of the issue, like with most controversies the truth is in between," says Dr. David Chelmow of Virginia Commonwealth University. "I don't think there is any huge problem with this. I don't as yet see huge advantages compared to what we're currently doing." For her part, Reath is looking forward to trying the new test. "You always kind of wonder ... 'Do they see everything?' " says Reath. A test that's more specific, she says, makes her feel more "like they're going to be looking exactly for what could cause cervical cancer." To help doctors and patients sort all this out, the Society for Gynecologic Oncology and the American Society for Colposcopy and Cervical Pathology are leading the effort to develop interim guidelines for how to use the HPV test for cervical cancer screening. Those guidelines, the groups say, could come as early as this summer. Let's follow a big debate in women's health. The question is whether doctors should start using a newly approved test to screen women for cervical cancer. Advocates say that test will prevent more cervical cancer cases and save more lives. Critics say the extra knowledge will end up doing more harm than good. NPR's Rob Stein reports. ROB STEIN, BYLINE: It's a Wednesday morning at Medstar Georgetown University Hospital in Washington, and Robin Reath has an appointment with her OB-GYN. DR. ANDREA SINGER: Robin, you can come in and have a seat. What brings you in today? ROBIN REATH: Here just for my annual physical. STEIN: Dr. Andrea Singer runs through all the usual stuff: any weird aches and pains, eating right. 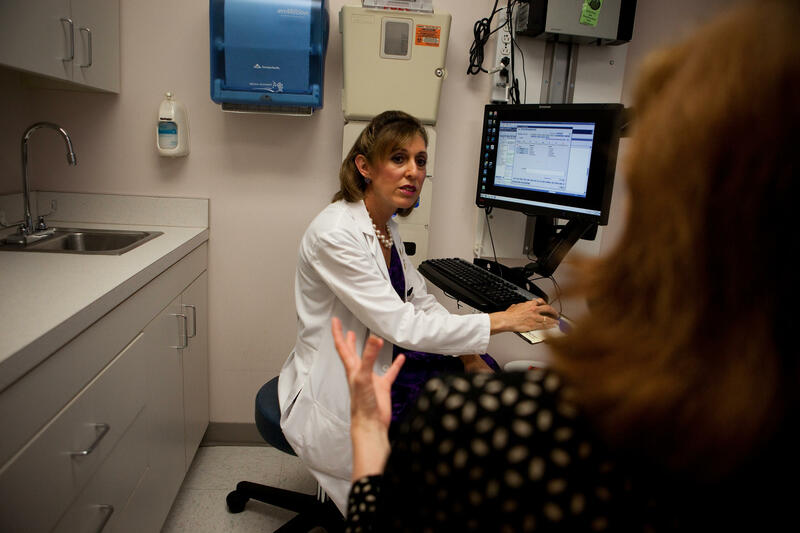 Eventually, Dr. Singer gets around to talking about screening for cervical cancer. SINGER: We might be doing something a little bit different than what we've been doing in the past when we've screened you. STEIN: Instead of the test they've been doing for years - the Pap smear - which takes a quick squab to get some cells to send off to some lab. SINGER: Now, what they sort of new thinking is, is actually looking at just doing HPV testing. So, just looking for the virus. STEIN: The human papillomavirus, because HPV causes almost all the cervical cancers out there. REATH: I had heard something about that, but I didn't quite understand what that actually means for me. STEIN: What it means for Robin - and all the other women showing up at their OB-GYNs these days - is a very good question. The company that makes the test says HPV screening would catch more women at risk for cervical cancer early. Paul Brown heads Roche Molecular Diagnostics. PAUL BROWN: If we can detect either the risk or early disease much earlier on, then we should have many less women ultimately getting cervical cancer. And that's, of course, the holy grail, in a way, of a screening program. STEIN: But not everyone's so sure. Susan Wood at George Washington University says lots of women have HPV, but only some of them will get cervical cancer. SUSAN WOOD: Like a cold virus, everyone gets it. Women who are sexually active are going to get this virus. It comes and it goes. It's only if the virus happens to stay around for a period of years that it is associated with the pre-cancerous conditions, which, if not treated, could go on to become cancer. STEIN: So, screening everyone for the virus will end up scaring a lot of women for no reason. And Diana Zuckerman, who heads a health advocacy group, says that's just the first problem. DIANA ZUCKERMAN: When a woman gets a result that says she's got this virus, she then goes for what's called a colposcopy, which is a procedure that is somewhat expensive, somewhat painful and can result in finding abnormalities that may result in biopsies that can actually cause real harm to the woman. STEIN: Like making it harder for her to carry a pregnancy all the way through nine months, and, for what many cases, turns out to be nothing. And that's not all. Most cervical cancers are caused by HPV, that's true, but not all of them. 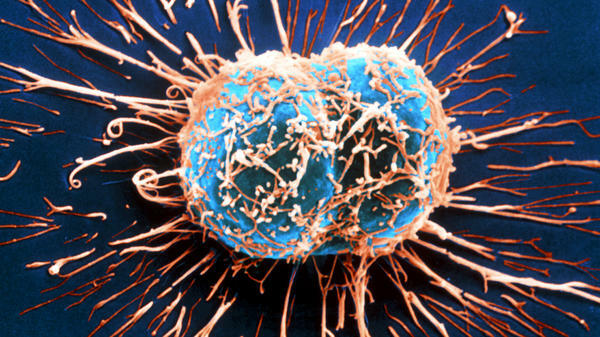 So, just looking for the virus might end up missing some cancers. ZUCKERMAN: Our greatest fear is that replacing the Pap smear with the HPV test will result in more women getting cervical cancer and dying from cervical cancer rather than fewer. STEIN: But Brown from Roche and others dispute all that. They say a big study the company sponsored of more than 47,000 women found HPV testing clearly beat the Pap smear. BROWN: What we were able to show was that one in 10 women that were clear by a normal pap test had already got pre-cancer. So, just drives home the point that, you know, as good as a normal pap is, it does miss disease that you can pick up and detect with an HPV test. STEIN: And, Brown says, that's without causing any more unnecessary follow-up testing. Lots of OB-GYNs are still trying to sort all this out. Some - like David Chelmow at Virginia Commonwealth University - say they're waiting for more information about how best to use the test before deciding what to do. DR. DAVID CHELMOW: Although there has been a lot of people very aggressive at the extremes of the issue, like most controversies, the truth is in between. I don't think there's any huge problem with this. I don't as yet see huge advantages compared to what we're currently doing. STEIN: For her part, Robin Reath is looking forward to trying the new test. REATH: You always kind of wonder, like, when I had regular paps, like, do they see everything? So, with the specific test, I feel like, you know, they're going to be looking exactly for what could cause cervical cancer. STEIN: Several major medical groups are taking a close look at this debate and plan to issue specific guidelines soon on how best to use HPV testing to screen women for cervical cancer. Rob Stein, NPR News. Transcript provided by NPR, Copyright NPR.